How do I get RGB video out of a Super Nintendo? Most consoles were designed to be easily adaptable to a global market, so most consoles have the ability to output RGB video. 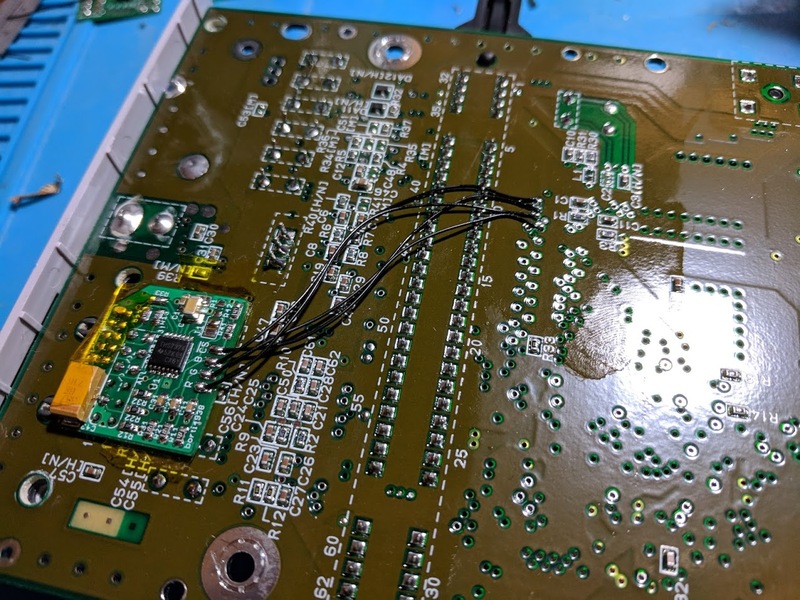 In the case of the SNES all original design (fat) versions of the console can output RGB video directly from the Nintendo Multi AV output port, no modding needed. Just use a converter, and a cable like this one. The problem with early SNES systems is that they use two video chips, which don’t always have the clearest image, even when using RGB. A small number of original SNES systems released towards the end of the system’s life use an improved 1-CHIP design that has much improved visual clarity. 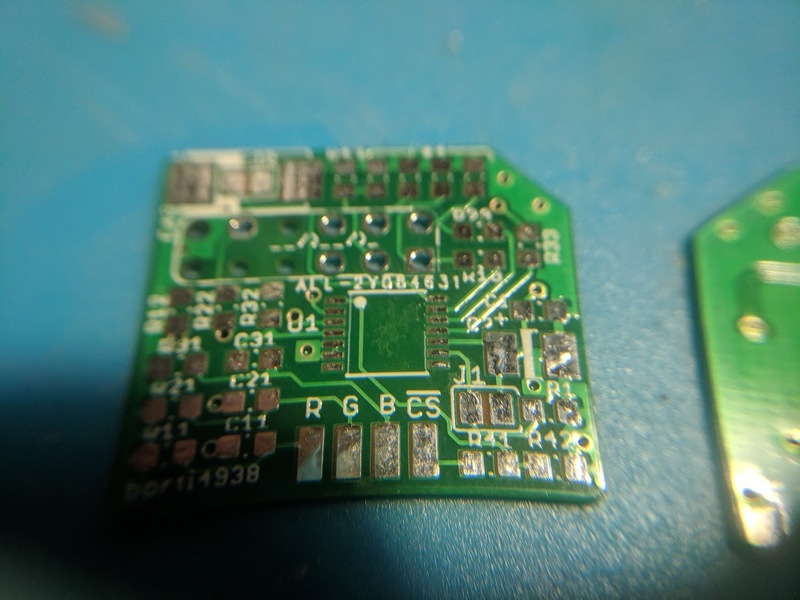 An original fat 1-CHIP system can output RGB directly, but they can be hard to track down. 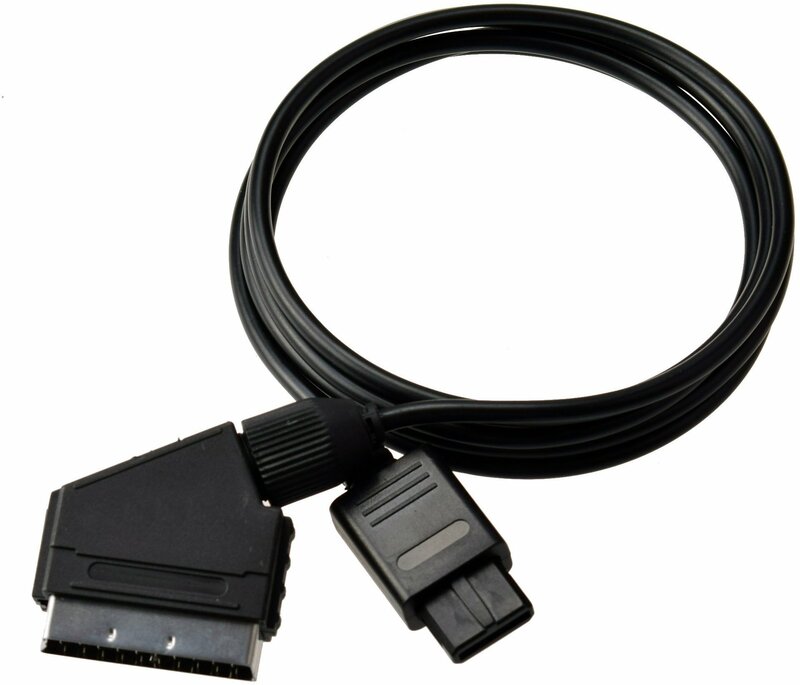 It’s easier to find a SNES Jr. (SNS-101) and use that since they all use the 1-CHIP design. The problem with the SNES Jr. is that Nintendo removed the native RGB video output support, so you’ll need to mod the system using a guide like this one. 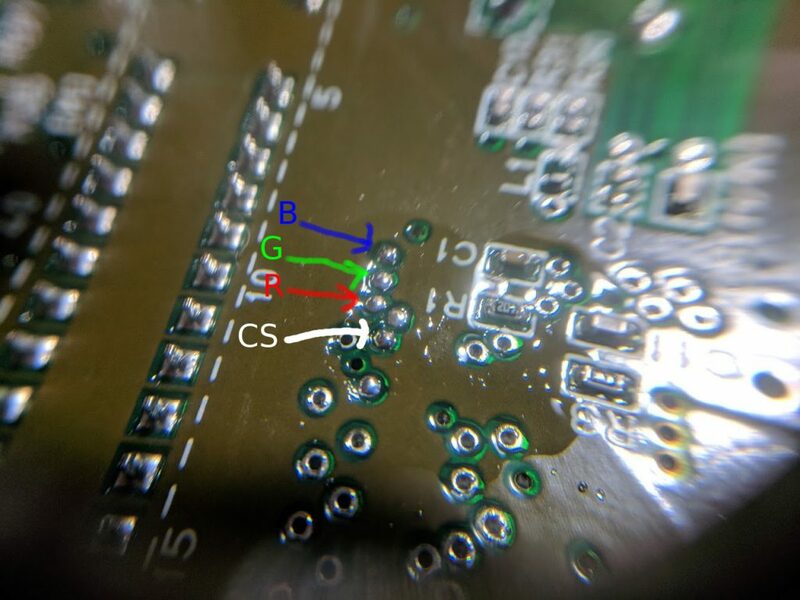 There are several ways to add RGB video back to the SNES Jr. Instead of starting from scratch I found an existing design on GitHub. In particular I went with the SNES_RGBAmp_wCSYNC version. I may eventually design my own board, but for now this works perfectly and is pretty flexible. 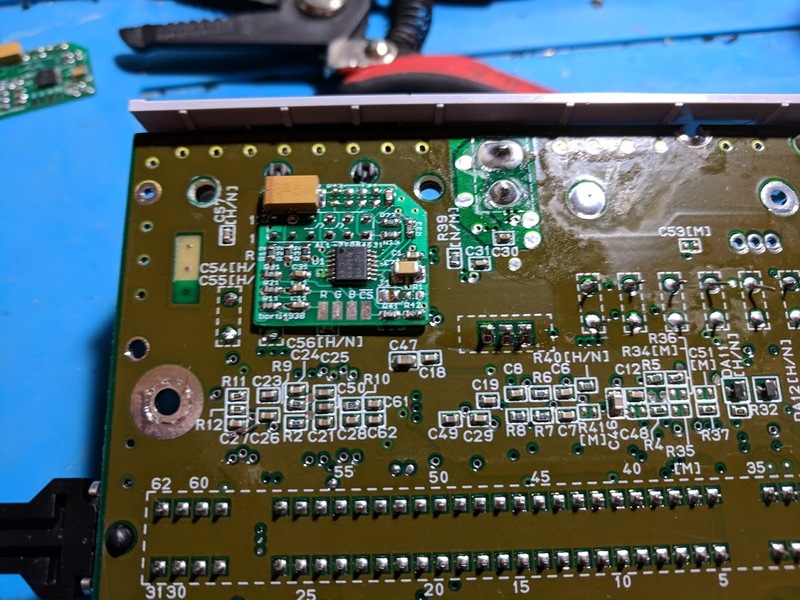 THS7374 amplifier board installation into an SNES Jr.
As I said earlier, THS7374 based amplifiers are very easy to install into an SNES Jr. It only requires soldering four wires to the console and the amplifier. 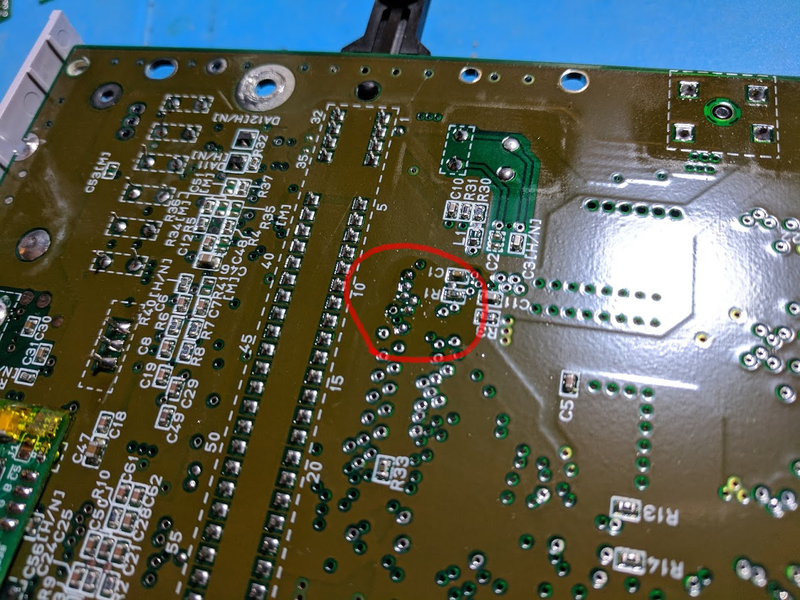 Begin by locating the 12-pin Nintendo AV connector’s pins on the bottom of the SNES board. 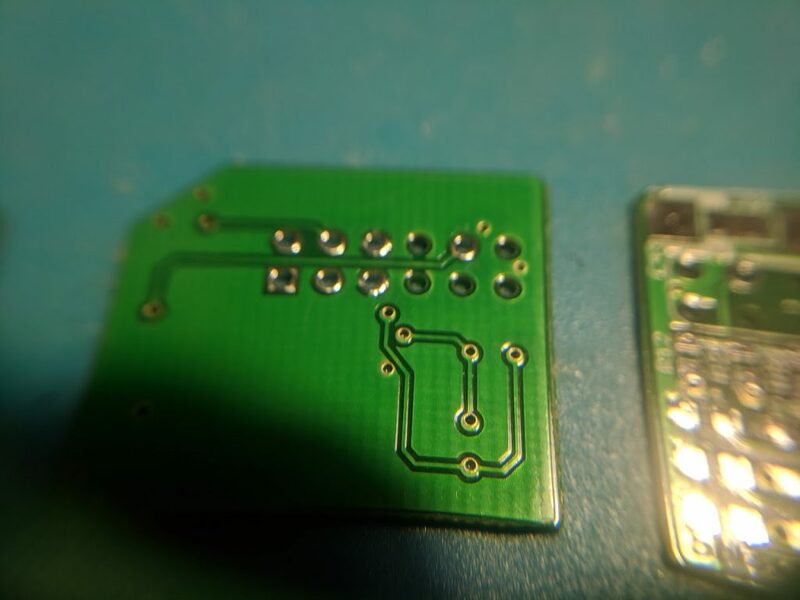 You’ll need to trim the ends of the pins labeled in the picture above. Use something like side cutters. 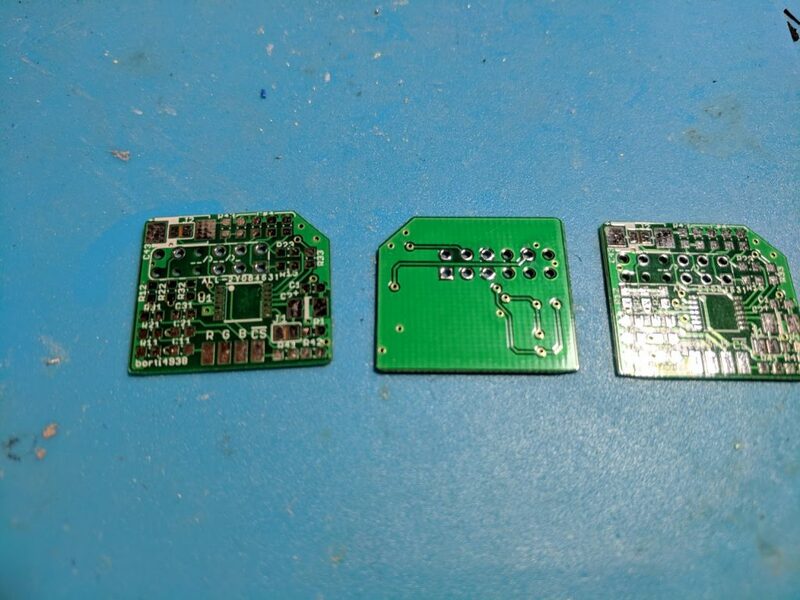 This is needed so that the amplifier board can sit more flush with the console’s board. 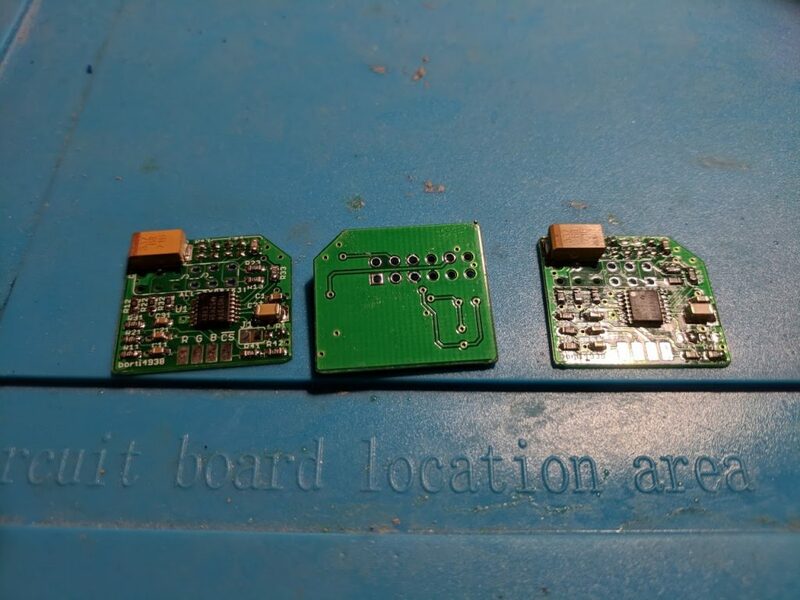 Next locate the R, G, B, and CS vias on your board. The picture above shows where the pins are located, and below is a close up picture of them with pin labels. 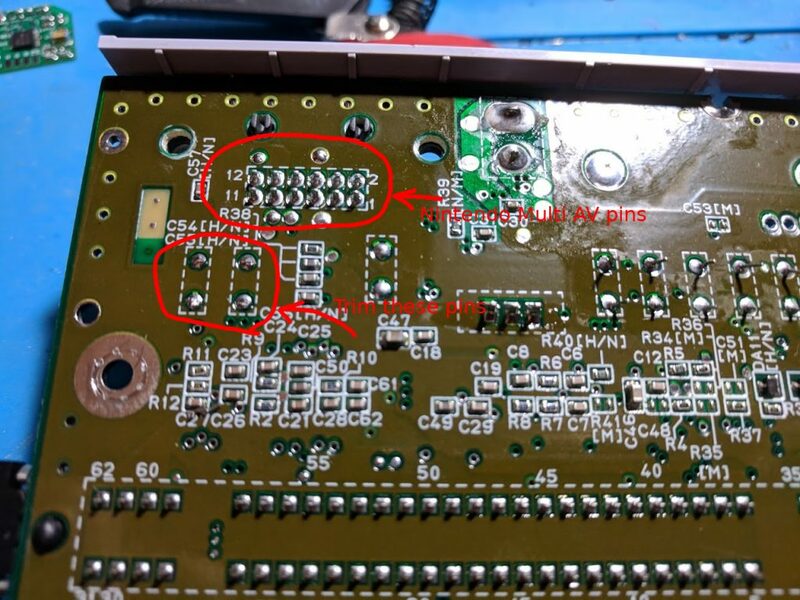 You’ll want to tin the vias using flux and solder. 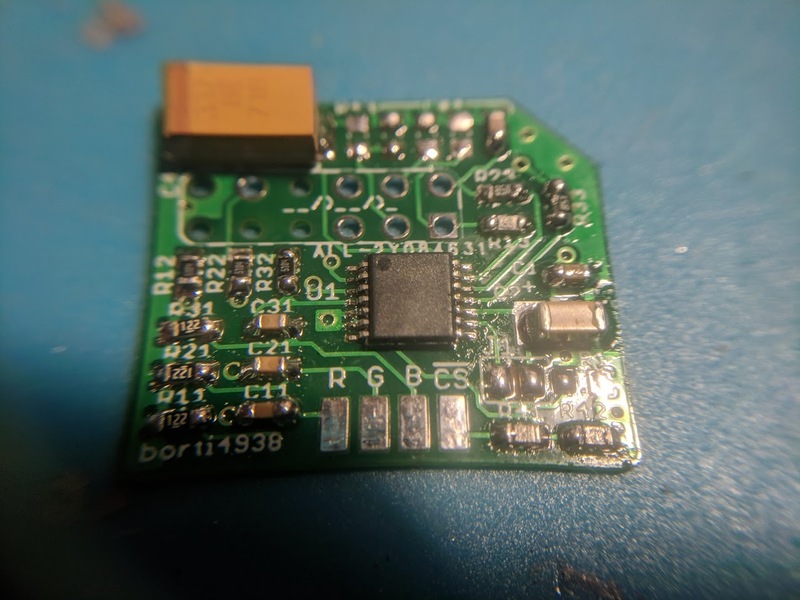 A concave shaped soldering iron tip is really useful for this. The video quality coming out of my SNES Jr. with the THS7374 amplifier installed is very good, a significant improvement over the composite video it came with. 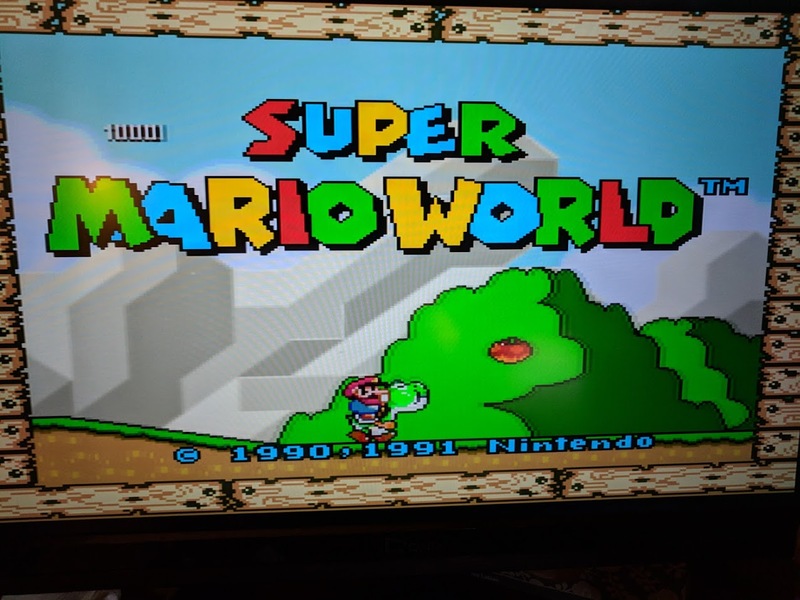 Above is a picture I took with my phone of the title screen of Super Mario World through the OSSC. I find the video quality of RGB with the SNES Jr. to be similar to what you’d get using a good SNES emulator. Since I prefer playing games on original hardware this is exactly what I was looking for. This entry was posted in Consoles, SNES Jr. project, Super NES, Video Games and tagged nrgb by William Quade. Bookmark the permalink.